The HARP (Hospital Admission Risk Program) provides support to people with chronic disease, those who are aged and/or have complex needs (including psychiatric disability or mental health issues) and people who frequently use hospitals or are at risk of unplanned hospitalisation. ensure equitable access to health care. 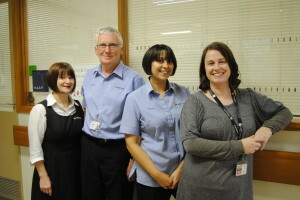 The service is staffed by community nurses and social workers, who work closely with other allied health staff to provide patient-centred care coordination, education and self-management support. There is no fee associated with this service, however staff may recommend programs, services and equipment that attract a fee. Clients are not obligated to accept any of these. For further information please call (03)5471 3676.